At The Cobb Group, we offer specialized care for the range of perimenopausal and menopausal issues women may encounter during their lifetime. Perimenopause generally begins as a woman’s body gradually stops producing the hormones estrogen and progesterone, typically around age 45, although it can happen at any age depending on the individual. During perimenopause, a woman may experience irregular periods, premenstrual symptoms, anxiety, depression, mood swings, fatigue, weight changes and increased cramping or problems with cycles. Menopause begins when the irregular periods of perimenopause have progressed to the point where a woman’s periods have ceased for at least twelve months. 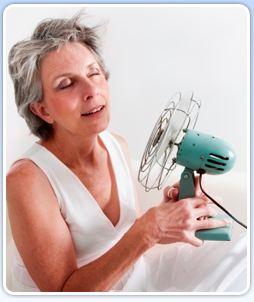 During this time, women can experience a number of bodily changes, from hot flashes to fatigue and more. We’re here to provide you with guidance and a variety of care options, including Biomedical hormone replacement therapy, as you enter this new phase of life. We are pleased to announce that we are the only providers in the tri-state area offering bioidentical, all natural, estrogen and testosterone pellet therapy to our patients. The bioidentical pellets inserted just under the skin serve as a reservoir of hormones, which the body accesses as needed. One treatment typically lasts 3-6 months. If you are experiencing symptoms of perimenopause or menopause, please ask our physicians about the ways we can help.